The following post is by Brian R. Gallini (Arkansas) and is sponsored by West Academic. When I first started teaching the investigative criminal procedure course more than a decade ago, I was immediately struck by how the material captured student attention. I doubt it was my teaching. After all, the subject matter—largely an inquiry into what police can and cannot do—impacts us all as citizens. Convincing students to engage with the criminal procedure course has become an increasingly easy sell. In just thirty-five days after its release, an average of 19.3 million viewers watched each episode of Making a Murderer. Meanwhile, in the first full year following its release, 80 million listeners downloaded season one of the hit podcast Serial. Those numbers reflect the reality that criminal procedure is an intriguing and constantly evolving area of the law that seemingly captures the public interest unlike other law school courses. I have for the past few years been thinking deeply about how best to capture that momentum in the criminal procedure classroom. I have long been skeptical that approaching the course through excerpts from scholarly literature, Supreme Court cases, and a series of notes and questions following an excerpted case continues to suit the modern law student. Instead, I have long been curious about how the cases of real-world defendants might inform, enhance, or even outright form the basis for teaching the investigative criminal procedure course. That long-standing curiosity forms the basis of my inspiration to provide a criminal procedure casebook that tries to bring law students into the courtroom. In my opinion, today’s law students benefit more from courses that teach the substantive law in a manner that captures their attention while honing their practical skills. That, in short, is what this book tries to do. It relies heavily on practical materials to guide students through the substantive law. In an effort to engage students and present “the big picture,” each chapter focuses on a specific “real-world” defendant, such as O.J. Simpson (the former NFL running back), Richard Kuklinsky (the mafia’s most prolific hitman), and John Wayne Gacy (one of this country’s most prolific serial killers)—among numerous other (in)famous defendants. Organizationally, each chapter begins with an introductory description highlighting the relevant legal aspects from the particular defendant’s case. Typically, each chapter also tries to lay out the law in an easy to digest format. There is no hiding the ball in this book. Core cases are then presented in a logical and easy to follow order. One of the book’s features that I’m most proud of is the supplemental online case file repository. 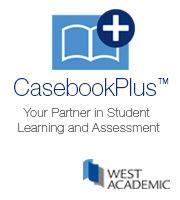 To further explore the topics presented by each defendant’s case, the book includes access to an online case file repository that provides professors and students with access to relevant filings from each defendant’s case. These files include the actual litigation documents from each case, such as complaints, search warrants, transcripts, and other resources like interrogation videos. One chapter even introduces students to the particular defendant by offering them access to private Supreme Court materials associated with that defendant’s case. By focusing so heavily on defendants—rather than rely more traditionally on core cases and scholarship alone—my hope is to offer a fresh approach to teaching the investigative criminal procedure course. This book aside, I’ll submit to you that an investigatory criminal procedure class discussion focused on “real life” defendants and litigation materials creates a lively environment unlike a more typical conversation that revolves around discussing one case at a time in a vacuum—disconnected from how that case applies to a real person.